The Department of Public Lands will be releasing request for proposals for a five-year concessions lease for Managaha Island, according to DPL Secretary Marianne Teregeyo yesterday. “It will be definitely issued. It’s in the final stages, just be ready for the announcement,” she told Saipan Tribune in an interview. Tasi Tours currently holds the lease, which essentially allows the company to control business activities on the tourist attraction. At the same time, DPL has moved on a Pagan homestead project, meeting with stakeholders in recent weeks. Teregeyo said yesterday DPL targets 150 homestead lots on the Regusa subdivision on Pagan. DPL has begun talks the Department of Public Safety, the CNMI Division of Environmental Quality, the Commonwealth Healthcare Corp., the Commonwealth Utilities Corp, among others, on this possibility. “I’m meeting with the mayor [of the Northern Islands] today,” Teregeyo said yesterday. DPL has talked with DPS about the possibility of having an officer on Pagan, and with PSS for schools, for example. Asked to describe the “feasibility” of the project after meeting with stakeholders, Teregeyo said the project would “need a hefty amount of money pumped down” but would not disclose preliminary numbers from CUC on establishing a power facility as it this did not yet account for other things like power poles, for example. “We are talking about a good chunk of change for DPS, CHC, PSS, before we can” start homesteads. “But the fact is we are a step further,” she said. Stakeholder will be gathering “their information” and meet for “one big meeting” on April 28 on the homestead project, she added. DPL has recently determined some $12.9 million in “uncollected” money from their leases in the CNMI, or Saipan, Tinian and Rota. Saipan alone has some $4.5 million uncollected, Teregeyo said yesterday. Teregeyo said some of these collections where the statutory limits have “died” amount to some $683,000 or $1 million, for example. The oldest collections date back to 1988 or 1990. She said they are going through a list and has talked with their legal counsel, their compliance section, and financial division to make sure they run through their aging accounts and start issuing billings and notices to those who have not paid. 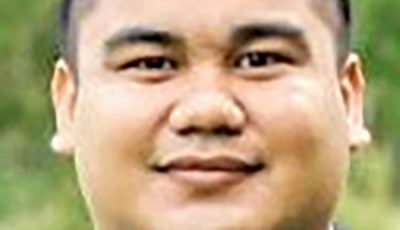 Teregeyo also addressed concerns from lawmakers, particularly Rep. Joseph Leepan Guerrero (R-Saipan), on the status of the DPL’s advisory board. Guerrero has clamored for an active advisory board, saying that the board, with its four appointed members, should have been able to meet. 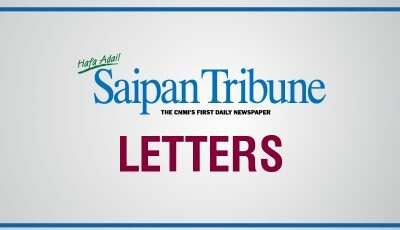 DPL and the CNMI Office of the Attorney General contend, though, that they cannot meet, per DPL’s enabling statute, until five members are appointed. The sole un-appointed seat is Gov. Ralph DLG Torres’ appointee. The rest are appointed by the respective island mayors. An update on Torres’ selection was not made available yesterday when requested from the Governor’s Office. The much ado about the advisory board comes down to what constitutes a quorum. Those for their immediate establishment say four members are enough to constitute a quorum. Teregeyo yesterday disagreed with comparisons made by those in the House of Representatives between DPL’s advisory board and other similar boards for the scholarship office and Commonwealth Development Authority. It’s been argued that the OAG’s application of the law is unique only to DPL’s board and not to these other boards. She also expressed a continued willingness to communicate with Guerrero’s office on the matter, saying that she has reached out to Guerrero recently. “Once that advisory board member is appointed, then they can decide what a quorum is with their bylaws,” she stressed. Teregeyo was also asked to comment on the House natural resource committee’s move last week to recommend the passage of a bill to abolish DPL and replace it with a corporation governed by a board of trustees. That bill is House Bill 19-82 and is authored by Rep. Felicidad Ogumoro (R-Saipan). Teregeyo acknowledged that lawmakers and the bill has raised a lot of issues about DPL, and stressed that they are working on these issues. “It’s that lack of communication between DPL and the Legislature” that’s needed “for them to be aware that we are taking cared of,” she explained. “…The Legislature didn’t plan on having a governing board,” she also said. “And that’s what that bill would do. [It would] dissolve it and turn it back on to a governing board. She said there have been a lot of bills coming out from the Legislature regarding DPL and that the department has commented on them. She said some of these bills require DPL to issue 2,000 of homestead lots every year.